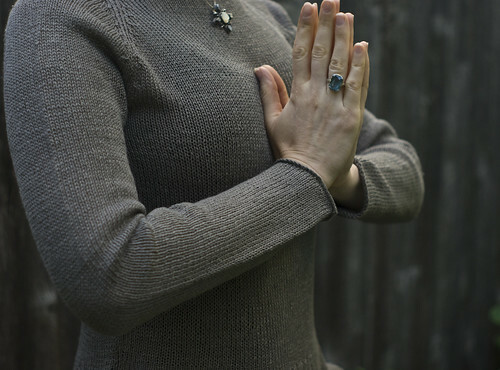 ‘Tis the season of linen and cotton, and so Virginia has finished a couple of summery tops that take advantage of the properties those fibers have to offer. 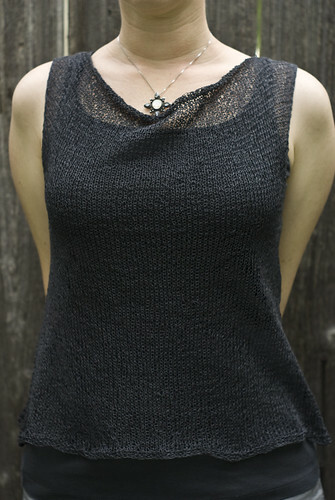 Pattern by cocoknits, this airy top is knit using Habu Cotton Gima. 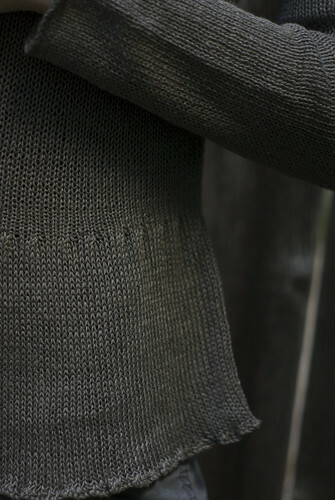 Pattern by Kim Hargreaves, this top is knit using Louet’s Euroflax Linen.